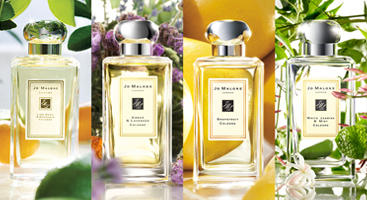 When Jo Malone London launched in 1991, a breath of fresh air began blowing through the world of perfume. Today, Colognes – steeped in the history of perfume, with their roots dating back to the 18th Century – are a real fragrance ‘buzz’, but when the now-iconic Lime Basil and Mandarin first zhooshed its way into the perfume world, it was still in recovery from an era of powerful ‘room-rockers’. More recently, ‘Cologne Intense’ scents have been introduced into the (completely shareable) collection, too: gorgeous fusions of exotic ingredients like Velvet Rose & Oud, Amber & Patchouli, and more. But from the word go, perfume-lovers and just about anyone with their finger on the pulse-point of what was ‘happening’ loved the collection, with its signature of sophisticated simplicity. Today, the Jo Malone London Creative Studio has its very glamorous HQ in a historic Georgian townhouse in Marylebone – somewhere we’re always excited to visit, and which plays host to some very glamorous VIP events, with its stunning Rose Uniacke interior, cream upholstery and fabulous oak leaf chandelier. Every Jo Malone London fragrance begins, as they explain, with a story. That might be capturing a memory of picking those blackberries in the English hedgerows, or taking traditional afternoon tea at Claridges. To bring each of those stories alive, the Studio works with internationally renowned master perfumers (for several years, the legendary Christine Nagel), who turn those stories into liquid dreams. Everything is still made in England, from high-quality ingredients, an understated elegance shining through every sparkling creation. But if one scent’s gorgeous, so the Jo Malone London thinking goes, maybe two could be better. The concept of Fragrance Combining™is all about applying a duo of compatible scents to create your own signature and tailor-made personal statement. An in-store consultation is the very best way to explore this. 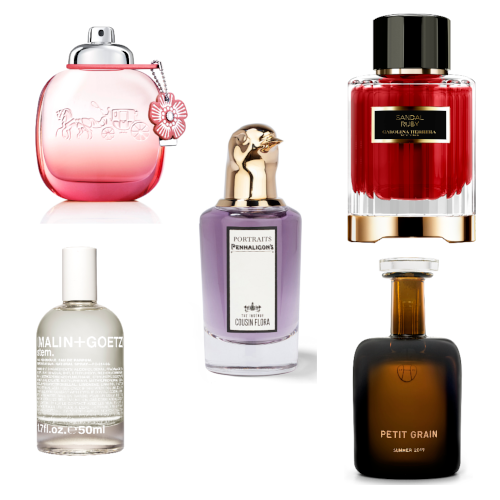 But why not try Blackberry & Bay with Pomegranate Noir…? Or turbo-charge the white flowers in Nectarine Blossom & Honey, with a spritz of Orange Blossom? And personally, we like Amber & Lavender, gorgeously ‘lifted’ by Red Roses. We haven’t done the maths, but the possibilities are pretty endless, actually. Famously, Jo Malone London is about more than scenting the body: there are also countless ways to scent the home in the collection. (We invested in some limited Jo Malone London scented drawer liners almost several years ago, and they’re still scenting lingerie and knitwear after all this time.) So there are room and linen sprays. Candles, famously. Scent Surround™ Diffusers – and so it goes on. One thing about this perfume house that we especially like, meanwhile: they don’t just take English gardens and horticulture as their springboard for new scents; they’re doing their bit for gardens, in return. Jo Malone London sponsored the rescue of Battersea Park’s ‘secret garden’, designed by Sarah Price (who also created the plantings for the London Olympics 2012, at the Olympic Park). The project was in collaboration with the wonderful charity Thrive (we’re big fans), which helps those with learning difficulties and disabilities to acquire horticultural skills and work in a garden environment. In Edinburgh, Jo Malone London has added a herb garden to the Redhall Walled Garden with the Scottish Association for Mental Health, and in New York, they partnered with Bette Midler‘s New York Restoration Project to create a community garden in a deprived area of Brooklyn which was badly flooded during Hurricane Sandy. Bristol, Manchester and other cities have also benefited from this green collaboration. 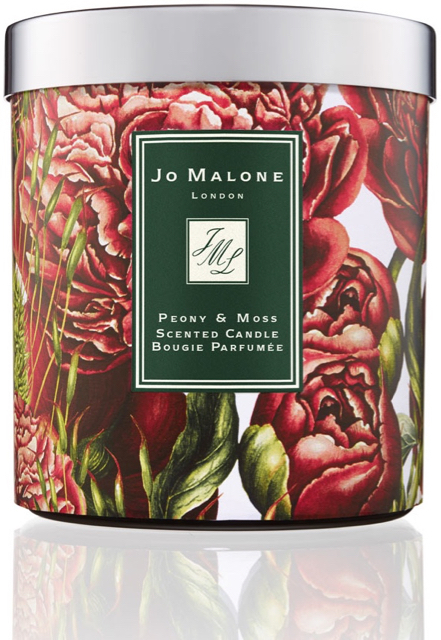 Each year, this is supported by funds raised via a special charity candle (here’s 2016’s Peony & Moss version) – and if there was ever a better excuse to treat yourself to a scented candle, we’d like to hear it. And one last reason Jo Malone London has a place in so many hearts: the so-distinctive cream and black boxes. And the scented tissue paper inside. 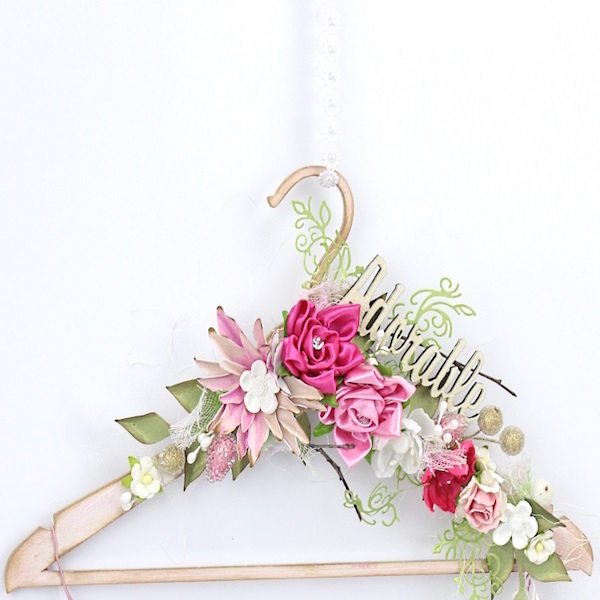 And the grosgrain ribbons. In other words, the whole can-I-bear-to-give-this-away? gift-buying experience (and often, no, we can’t bear to…!) We don’t know anyone whose heart doesn’t beat a little faster at the sight of a Jo Malone London box or a cream, beribboned shopping bag.